Opting LESS based on the fact that Magento 2 comes with an internal compiler, that allows the developer to focus on the development process. The LESS compilation could be a server-side (using LESS PHP library), or client-side (using less.js library). Also, it should be noted that Magento 2 used RequireJS, which significantly increases the pages loading speed. RequireJS is an implementation of AMD (Asynchronous Module Definition) technology, it is an API for declaring modules and their asynchronous loading at a moment when they are needed. This avoids adding JS-script libraries in the head, in the "lazy" loading way. In continuation of the article, I would like to describe you the new theme structure of the Magento 2 platform. The whole theme is now organized relatively to "app/design”. The "skin” folder no longer exists. 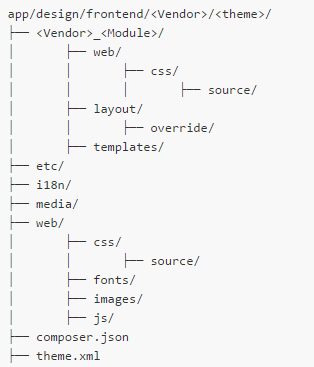 Also, there is a new approach for modules customization: now in the folder with the theme, each module unit will have its own _ catalog with its representation, it will contain templates, JS and CSS/LESS. It is very user-friendly and pragmatic approach. We got a comfortable structure, where everything is sorted in very convenient way. This folder contains the .csv translation files. It is used to initialize the theme. The theme name, theme version, theme parent template, theme preview image should be defined there. By the way, now Magento 2 supports multiple theme inheritance. 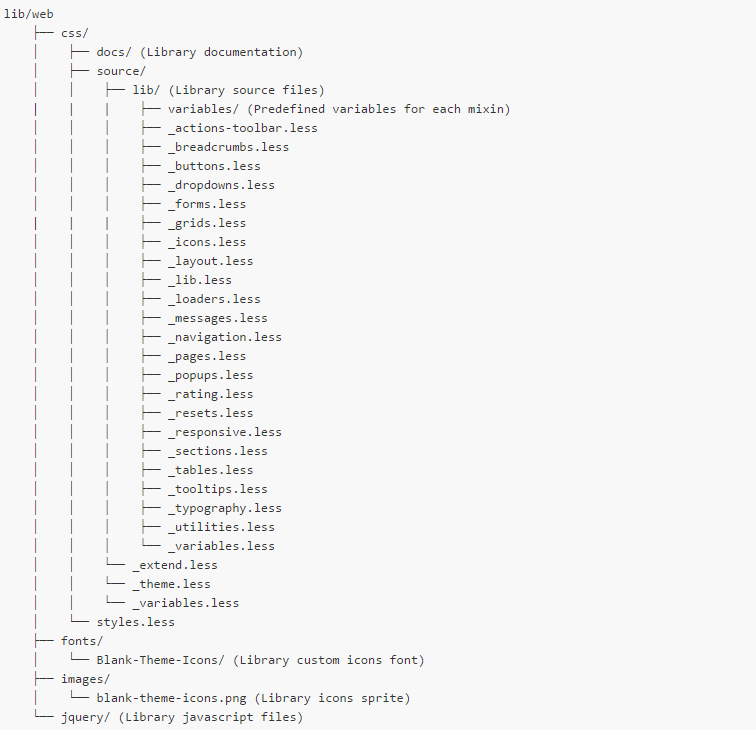 Magento 2 themes are organized as composer packages. The Magento 2 have a lot of new and interesting features, in this article I would like to describe one of them. In the view.xml file, which is located in the "app/design/frontend/<Vendor>/<theme>/etc" we can configure parameters for the images. The parameters of the image formed for each type of the image. constrain (boolean) - if true, the image sizes less than a certain value will not be scaled. Default is true. aspect_ratio (boolean) - Specifies whether to save the image proportions. Default is true. frame (boolean) - Specifies whether to trim the image (works when aspect_ratio is set to "true” value). Default is true. transparency (boolean) - Sets the transparency of the background image. Default is true. background (array) - Specifies the background color of the image. It will not apply to images with transparency when setting transparency is true. The Magento 2 frontend system was significantly improved, now it is more technologically advanced and much easier to work with. Unfortunately, it is impossible to cover all changes and innovations of Magento 2 in one article. In future articles we will certainly pursue the matter, and we will go into more detail of the Magento 2 technology world. Magento 2 is a long way from being realese. It has as of now been at the focal point of consideration in the ecommerce business.I found some features here: http://www.cloudways.com/blog/magento-2-overview/ that Magento 2 does have another visual format supervisor, as well as has changed center systems, database structures, and usefulness. Alongside these progressions, there are bunches of enhancements in the sending setup and the indexing procedure of Magento 2. It is additionally decent to see that Performance and Caching components have turned into a piece of Magento 2 programming. With every one of these enhancements and changed motion of Magento 2, it is certain to be a mess breaker. Upon its realese, Magento 2 will without a doubt turn into the most favored ecommerce advancement programming on the planet.